Every homeschool family is so different that there aren’t many pieces of advice I would give to all homeschool moms. But this one applies to everybody. 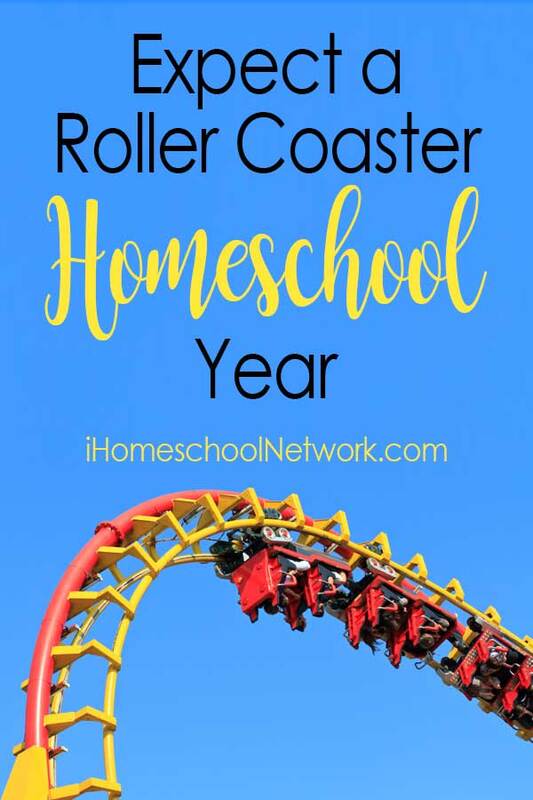 The homeschool year will be a roller coaster. Expect it. The list could go on and on. The more children you have, the more potential ups and downs. There is no way to avoid the roller coaster of the school year. It’s inevitable. You can, however, plan for it so you are prepared as best you can be. First of all, mentally prepare yourself. No matter how hard you try to do everything right, there are going to be low days or even weeks in your homeschooling. That is normal. You are not suddenly failing as a homeschooler because things seem to be falling apart and no one can get along. Don’t give into despair or doubt. Take a deep breath and step back. Try to determine where it all went wrong and then how you can fix it. It can be challenging, but don’t take personally every low point in the ebb and flow of the school year. People are people and that includes you and your children. Hard times will happen. Evaluate, adjust, and move on. Have some contingency plans in place for when sickness strikes, the weather is bad, etc. Hide some fun games, DVDs, art supplies, etc. to pull out on those tough days. Stash away some special snacks. If you keep a fairly regular schedule for your homeschool, plan a throw away day every four weeks or so. If you plan that there will be a day when nothing goes right, then you’ve already anticipated it and it won’t derail everything else you have planned. How you handle the difficult parts of the school year will teach your children just as much about life as the work they do in their math books and science curriculum. If you can model for them how to handle difficult situations with grace and a sense of humor, it may be the most valuable practical life skill you ever teach them. Sallie is a teacher by training and now homeschooling mom of Caroline. Her passion is to provide learning products, encouragement, and information that helps others discover and do what works with their children. Enliven your daily STEM education with these free printables that are perfect for a morning board.